"The decision to move into the field of co-education in 1979 will be perhaps the most important taken, since the foundation of the School." Headmaster Gerard Cramer, 3 November 1977. It was not until 1974–75 that the idea of co-education at Carey began to become a reality. Headmaster Gerard Cramer instructed the School Council and staff to examine the advantages and disadvantages of establishing co-education at Carey. The then President of the School Council, Mr Alfred Mellor CBE, took up the challenge and investigated further. Mr Mellor visited a number of schools in Adelaide who were recent adopters of co-education and were enthusiastic with their respective decisions to embrace it. With these positive reports, Alfred Mellor expressed his full support for the launch of co-education and encouraged other members of School Council to visit co-ed schools as well. Subsequently a sub-committee was formed and they reported to the Council meeting on 15 September 1977. 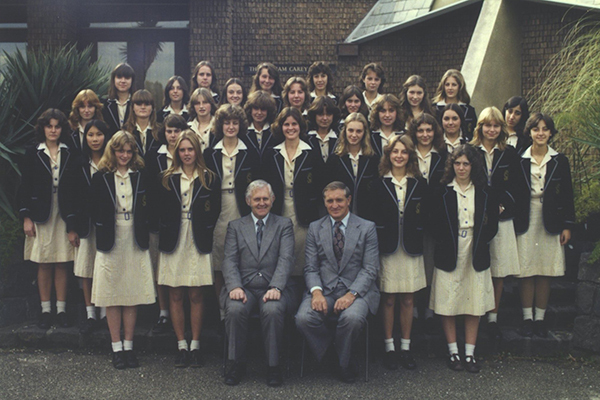 A letter was sent to all parents on 5 October 1977 by Headmaster Cramer and Mr Mellor to announce the introduction of co-education at Carey in 1979. There are few who would argue with this view today. Women who were educated at Carey are employed as doctors, lawyers, athletes, opera singers, actors, nurses, politicians, and entertainers; they are world-class cricket captains, professional basketballers, netballers, Olympic swimmers and AFLW footballers; they are writers, architects, accountants, psychologists, teachers, social workers, adventurers and parents; and they are all Old Carey Grammarians.